Awesome!!! 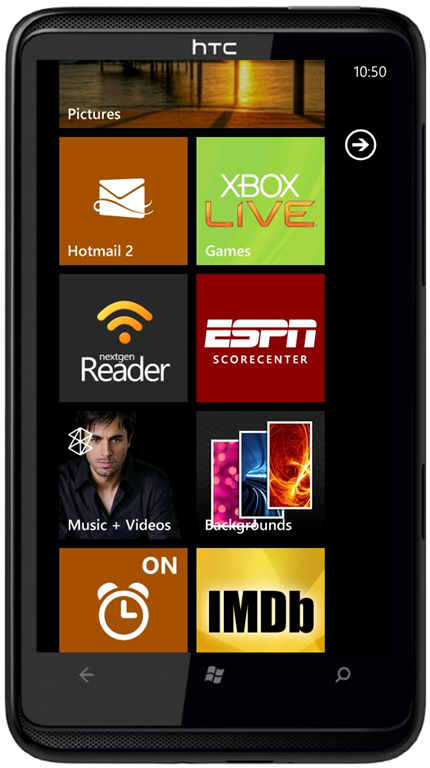 Yes, that’s the one word to describe the experience on Windows Phone Mango OS and it gets more awesome today with launch of NextGen Reader v2. Yeah… it’s only for Mango, but hey don’t feel bad if you’re a NoDo user, as it seems the Mango update is imminent for all users worldwide. Hopefully it should be end of this month or early October. In between we did pushed a final update for NoDo users (v1.17) last week, sorry no post on that but hope you all have updated, as it contains many improvements and bug fixes. Now, lets talk about the v2 update and do not miss the video at end. Support for multiple live tiles. 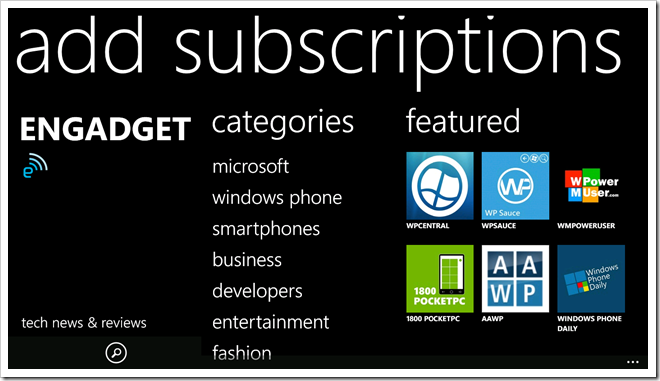 Yes, the most requested feature on WP7, live tiles display unread count on the front and recent articles on back side with back and forth flip animation. 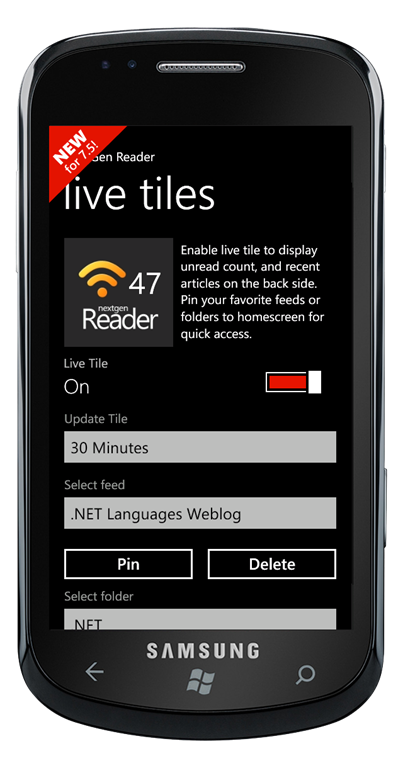 Pin your favorite feeds/folders to home screen and directly jump to them for quick access along with live tile updates. Smooth scrolling and support for multitasking aka fast application switching. Improved content layout, image resizing and YouTube support, plus better rendering thanks to IE9. Share your articles using inbuilt phone accounts and can also add secondary accounts within the application. 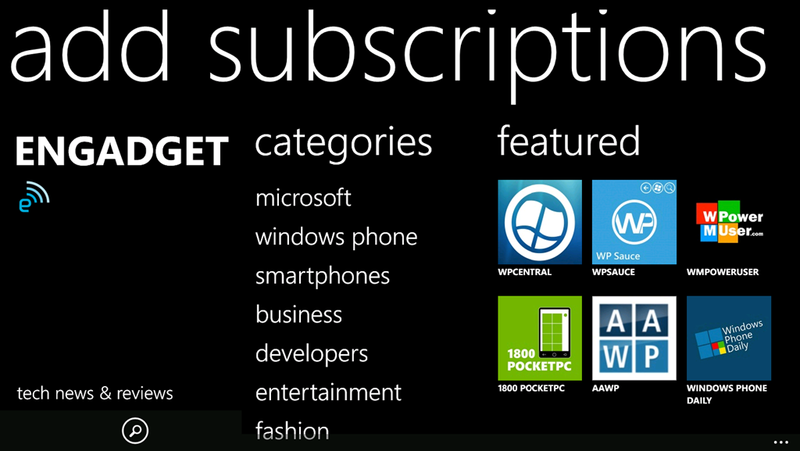 New settings page and icons for mark read or keep unread button in article view. New system default theme option, and system tray is now visible at top. Tap and hold on an article to see context menus for quick action. Many more enhancements and over 15 bug fixes. I hope you enjoy the update and don’t forget about ad-free trial option. For more information, subscribe to our blog for future updates, like us on Facebook or follow us on twitter (@ngreader) if you like. Last but not least, We’d like to thank all the beta testers for sending tons of feedback and helping us in fixing issues, it wouldn’t have been possible without all your support. NextGen Reader v1.15 update is here! Hi, there’s a lot happening in the mobile world with patent war going nuclear, recent heavy announcement of Google buying Motorola Mobility and a shocking news about HP to shut down WebOS development. 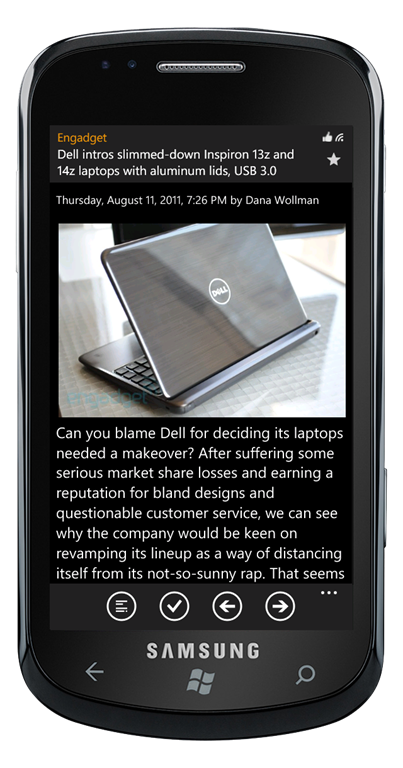 All this points to one good thing that Windows Phone is deemed for commercial success and we wanted to let you know that NextGen Reader v1.15 update is now available in marketplace with many new features and enhancements. Please find more about Mango update at the end of this post but first, let’s jump into v1.15 features, shall we? Share to Facebook – yes by popular demand the Facebook sharing is now available, including the one tap update feature to share same on twitter and windows live. Subscriptions in alphabetical order – many of you’ve asked about where are all of my feeds, earlier ngreader displayed only feeds which had unread articles but now you can see all of your feeds/folder on main page with a unique experience to switch between unread or all items. display all feeds or only unread feeds. display all articles or only unread articles. auto hide articles when marked as read. auto hide feeds or folder with no unread articles. auto back to top-level list. Sync any feed or folder– yes it’s possible too with latest update. navigate to desired feed or folder. press sync button to download new items. Improved automatic loading of new items when sync completes – now you don’t have to tap again to load new items when the sync is complete unless of course you’re in edit mode or still reading old articles. Option to lock screen to portrait mode. Increased limit for starred and shared items. 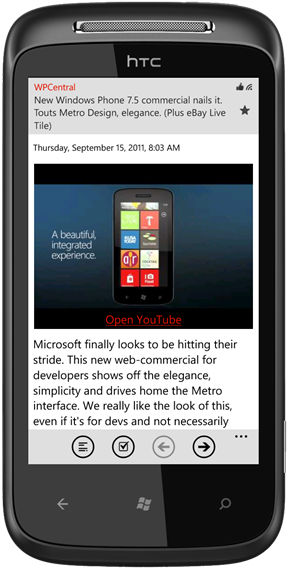 More responsive star button in article view – improved hit area and negative margins for touch detection. Fixed image resizing in mango build 7712 – thanks to IE9! Improved layout in landscape mode. We hope you enjoy the update, do give it a try. Download the trial version (free) which has no ads or limitations except twitter support. As always I’m continuously working & open for feedback, thanks to everyone in making this possible especially all beta testers. Now, let’s talk about Mango, I guess many of you’ve seen the press and amazing reactions of media on Mango beta release but let me share one thing – all you’ve seen so far is part-1 of the story, part-2 will begin shortly when developers began to embrace the new functionality underneath. We’re working hard on Mango version and it’s COMING SOON! But we need help from your side in deciding on launch of mango version, any feedback on this is most welcomed. As per MS update policy for mango apps – once we submit Mango version to marketplace, NoDo version of the app cannot receive any further updates. Please note that it’s similar to how Apple iPhone supports updates. 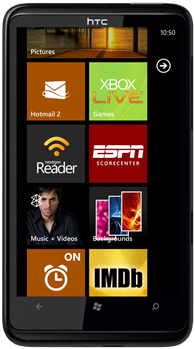 Since, we’ve seen in the past that NoDo update took long time mostly due to issues with carriers but even if the update process is improved, we can still expect a minimum transition period of two months before every WP7 handset in the world is updated to Mango. 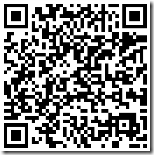 To launch a separate free Mango version of NextGen Reader for transition period. and once majority of users update their phone, we can update the NoDo version to Mango and kill the temporary version. How to update all users about the separate version of app for Mango? Please let us know if you’ve better ideas…. 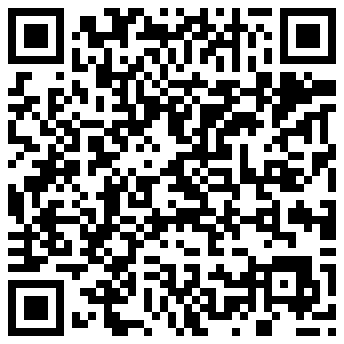 Cheers & if you like the app show us some love on FaceBook page.